Going down a slide with a toddler is a fun activity for parents. Doing so, however, has led to many trips to the doctor's office. The injury is a leg fracture and the source is most often those rubber sole shows usually worn between 18 and 36 months. 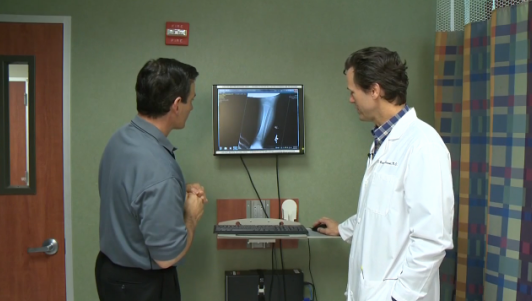 Dr. Brannan Smoot shared tips on how to prevent these slide injuries on KVUE-TV. Click here to see his story on KVUE.com.